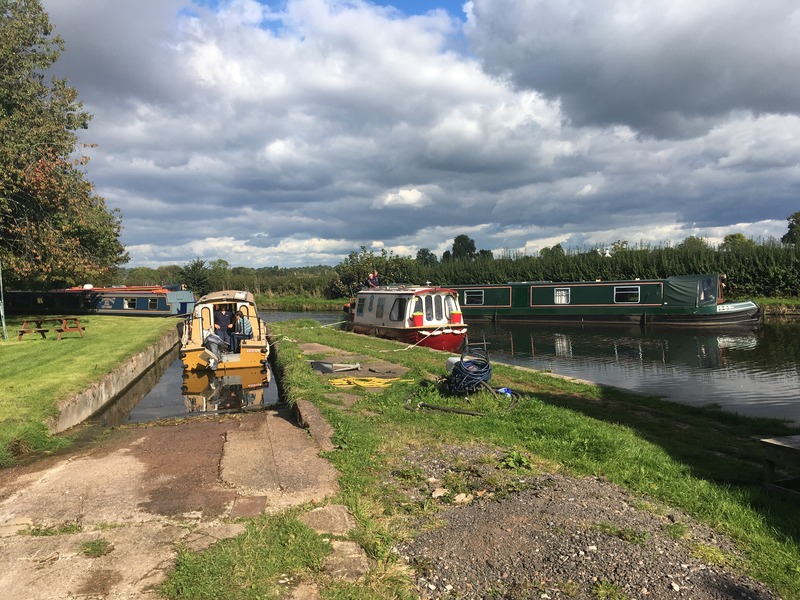 Countrywide Cruisers at Brewood on the Shroppie is only half a day cruise from Hatherton and are friendly and welcoming. A narrow slipway but is an easy reverse, with room to turn at the top. Normally has room to store car and trailer. It is also has easy links to the M5/M6 but watch which way you plan to go through the village of Brewood, as some of the streets are narrow and can be an “interesting” driving experience!! Water, toilets and loo dump are available on site.